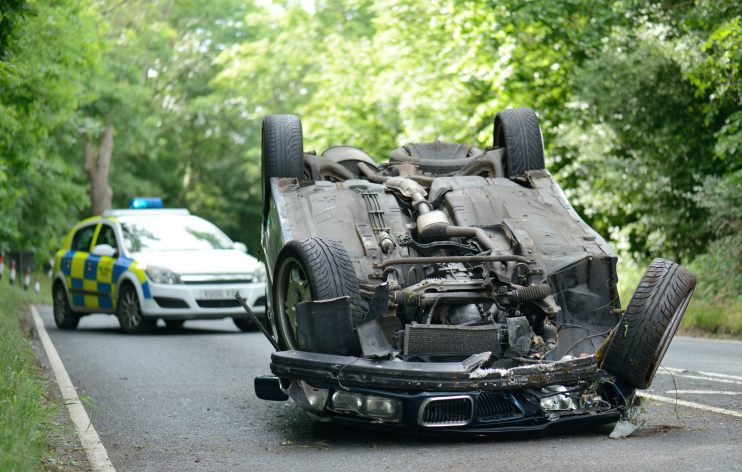 Home > Blog > What Does Auto Insurance Cover In A Vehicle Rollover? Purchasing auto insurance means investing in a policy that protects your vehicle from most types of damage. Yet, there is not a single policy that does it all. When buying car insurance, vehicle owners need to consider the types of risks they are more likely to face and choose a plan that includes as much protection as possible. One area of confusion involves a vehicle rollover. What type of insurance covers this type of incident? Car owners generally purchase comprehensive car insurance and liability insurance. Liability insurance provides coverage for other people and their property in instances where you're deemed to be at fault for the accident. Comprehensive auto insurance covers your vehicle from accidental and unpreventable incidents such as fires, theft, vandalism and falling trees. But neither of these coverage options will protect your car in instances of a rollover. When is a Rollover Covered? In some cases, the rollover is the result of an accident with another driver. If that driver is responsible for the wreck, his or her insurance is likely to cover your damage. But if you caused the rollover you'll need to have collision insurance in place to cover the losses. Collision insurance can offer a great deal of help in these situations. Rollovers can be very expensive and sometimes lead to the vehicle being totaled, so you will want to ensure you have enough coverage for this situation. Collision coverage can also aid in the cleanup of the event. However, it does not cover your medical bills. For that, you'll want to consider medical payments coverage. Overall, collision insurance is a very valuable investment for car owners. If you cannot afford to pay for the damage from a rollover accident, it's important that you have this coverage in place. Make sure you're protected. Call First Insurance Group at (800) 511-2892 for a free Kentucky car insurance quote.